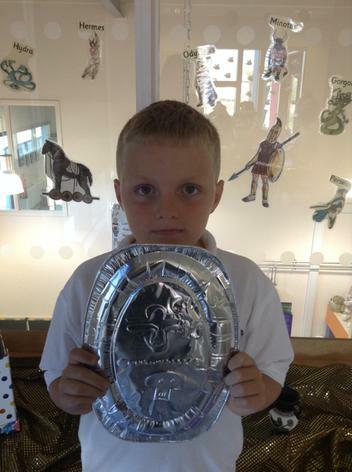 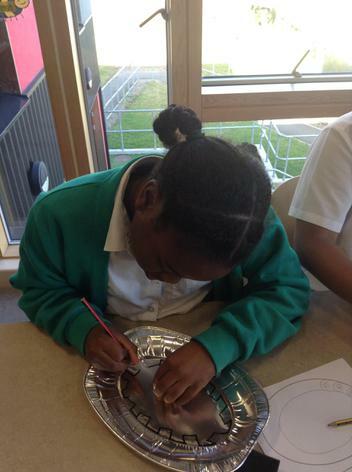 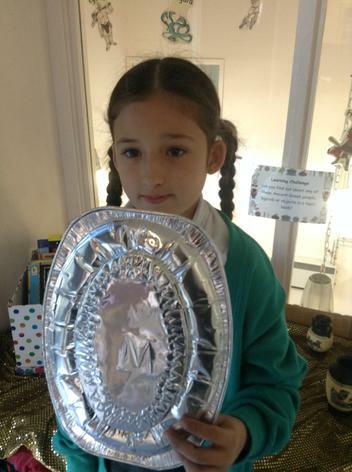 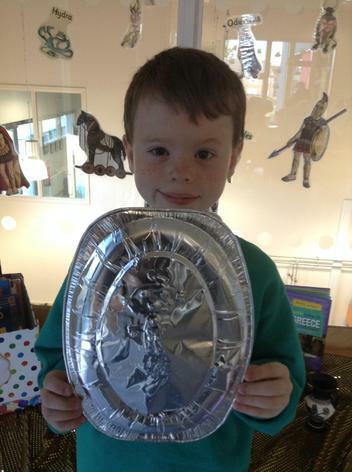 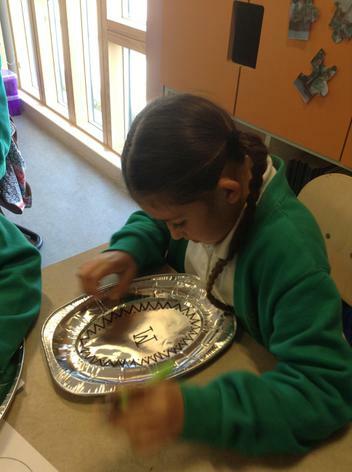 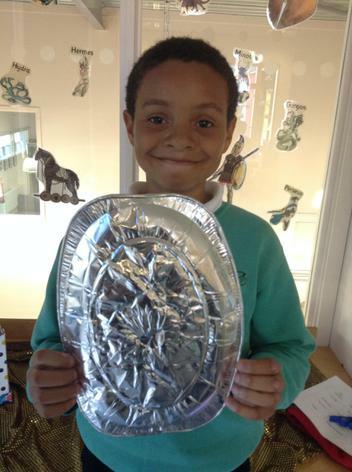 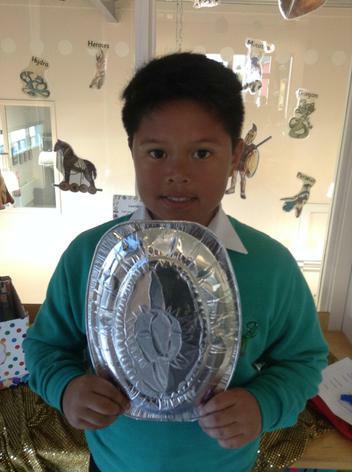 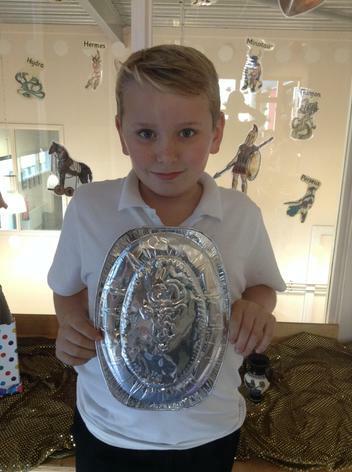 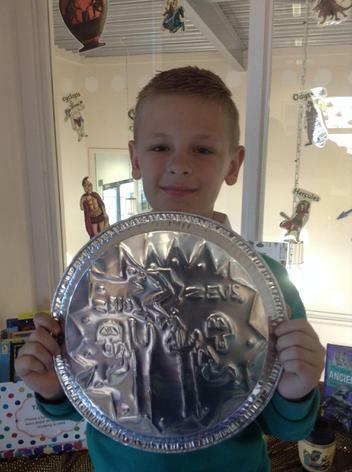 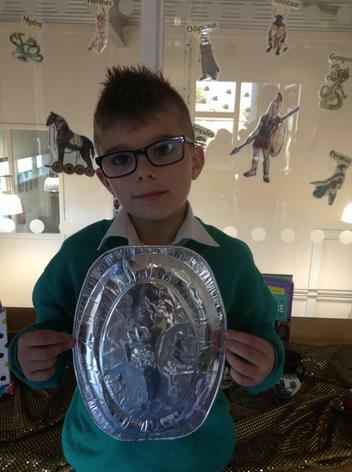 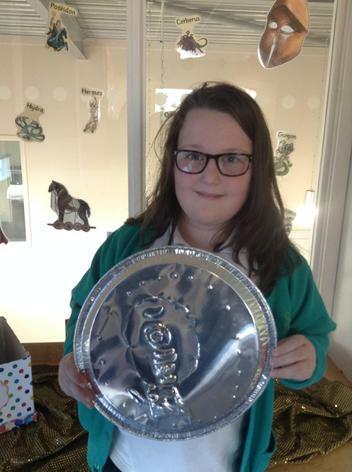 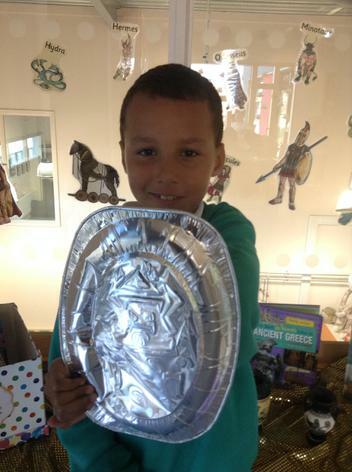 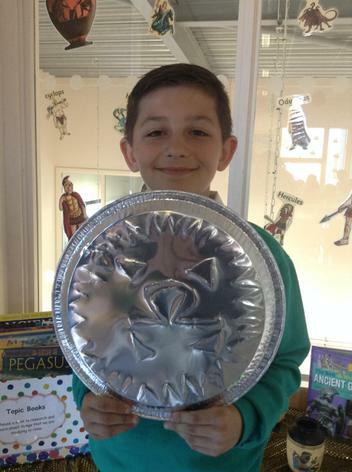 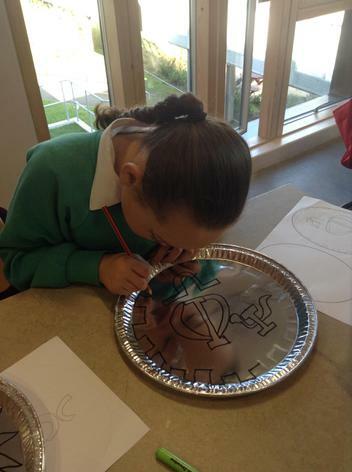 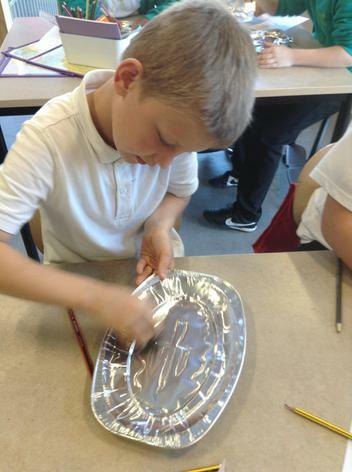 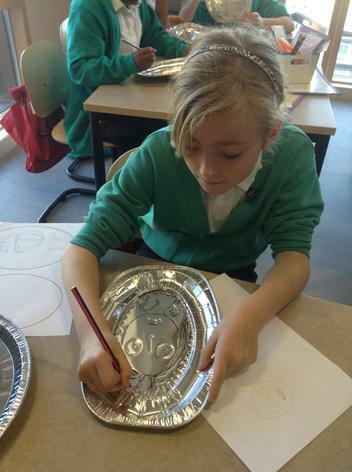 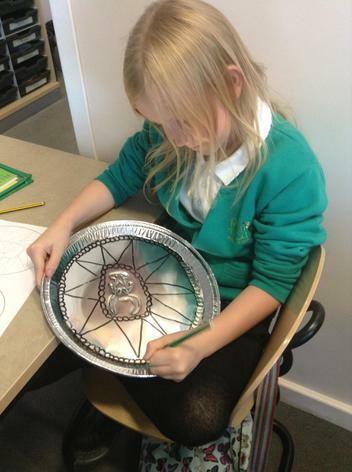 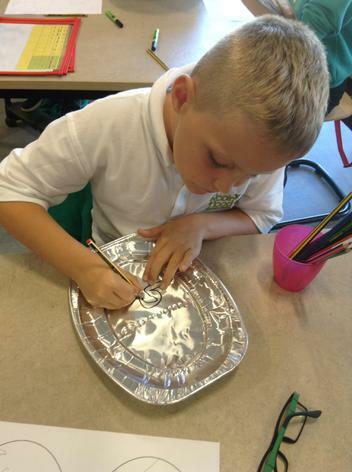 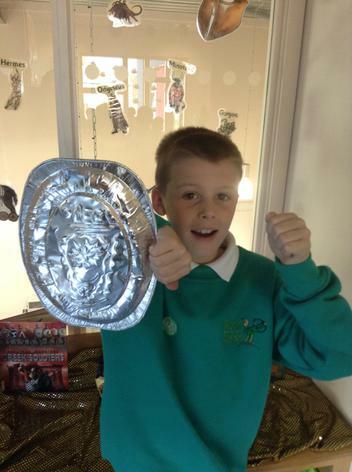 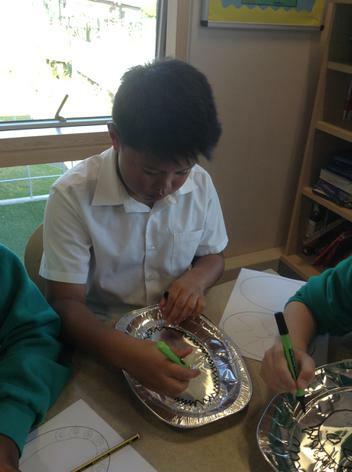 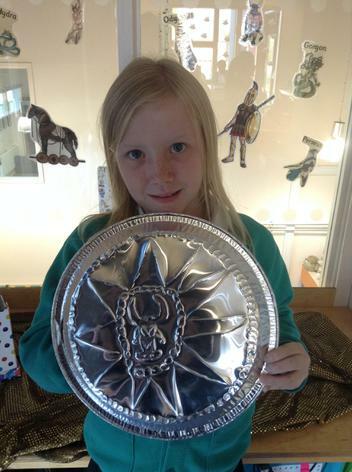 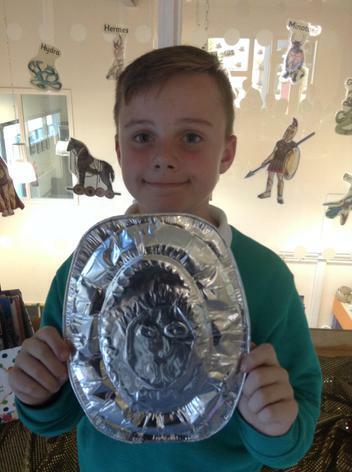 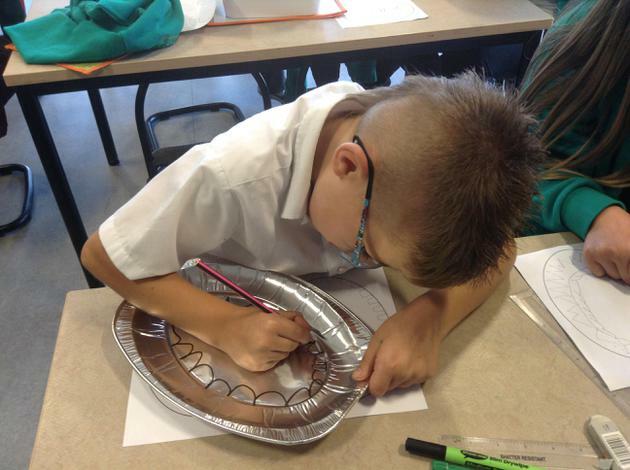 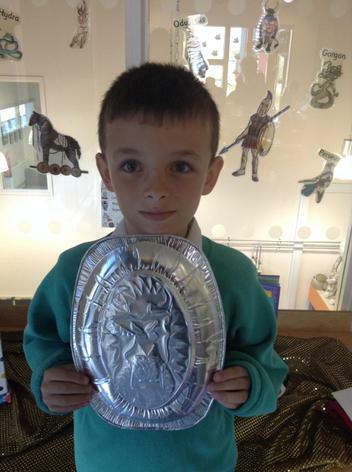 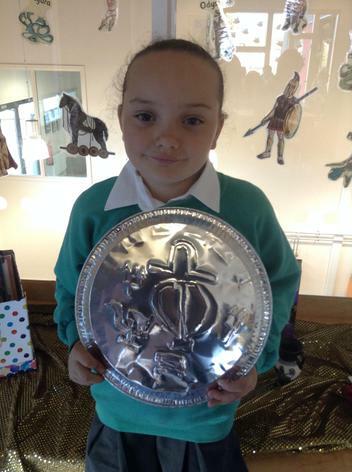 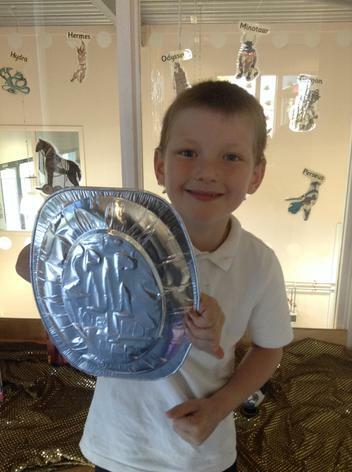 We have made Greek shields! 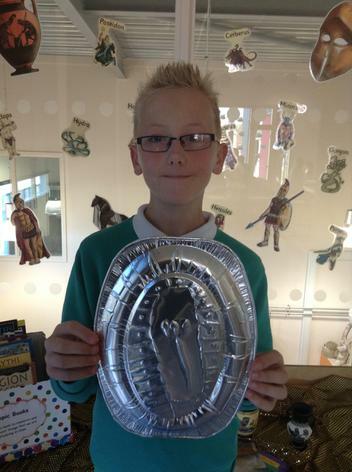 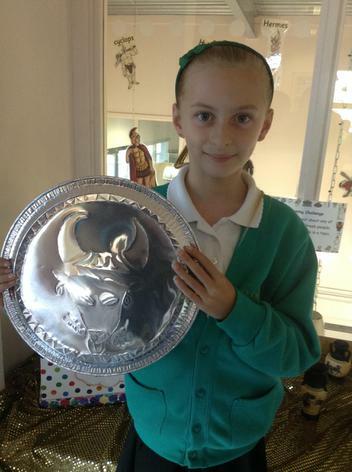 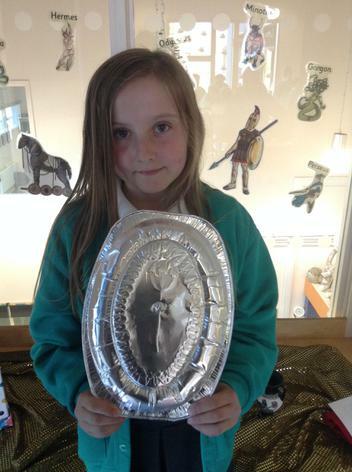 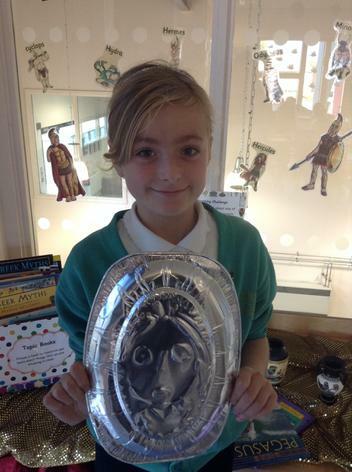 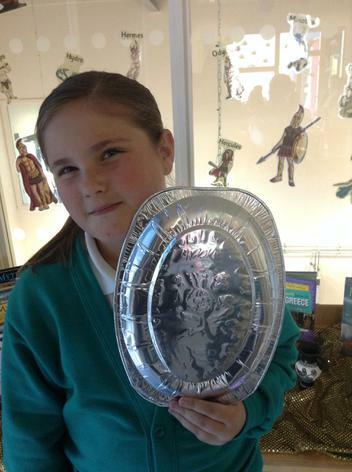 Can you spot any images from Ancient Greece on our shields? 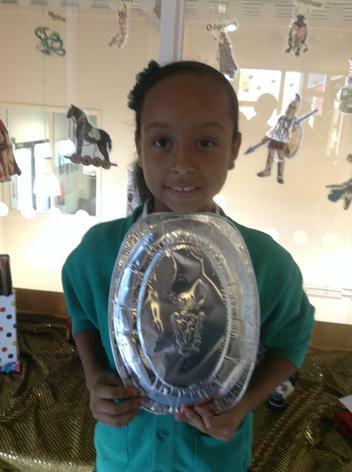 We created these shields by engraving an aluminum tray with a blunt crayon. 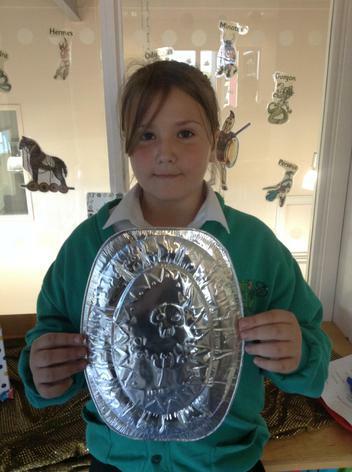 Here are our shields, would the design scare you during a battle? 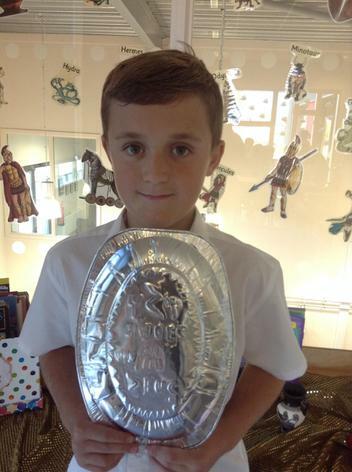 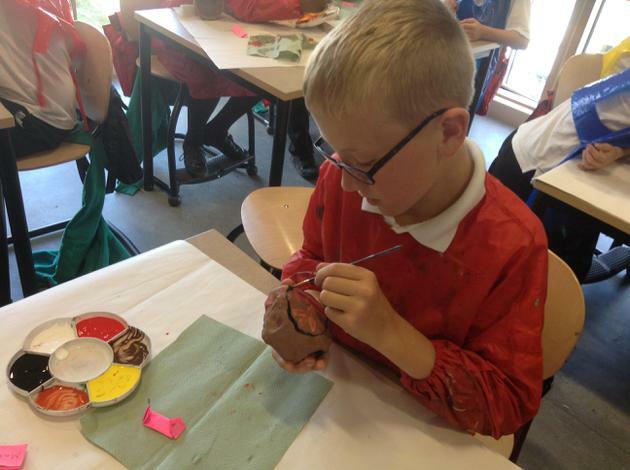 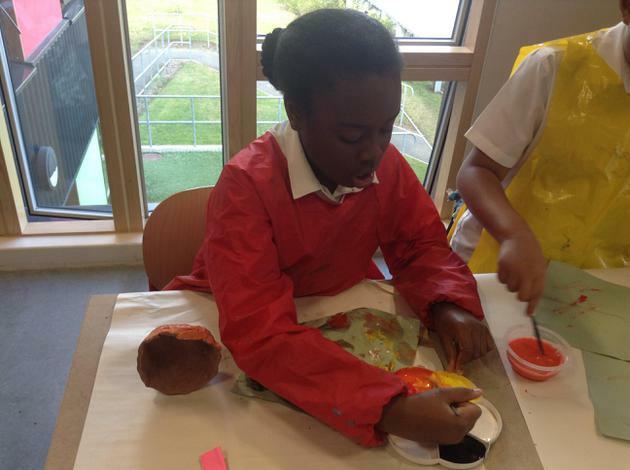 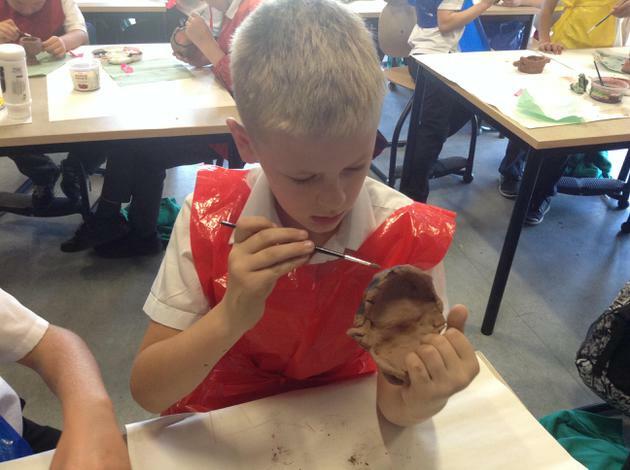 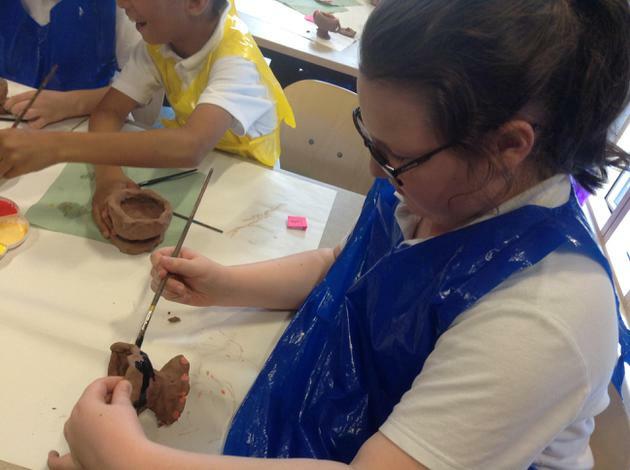 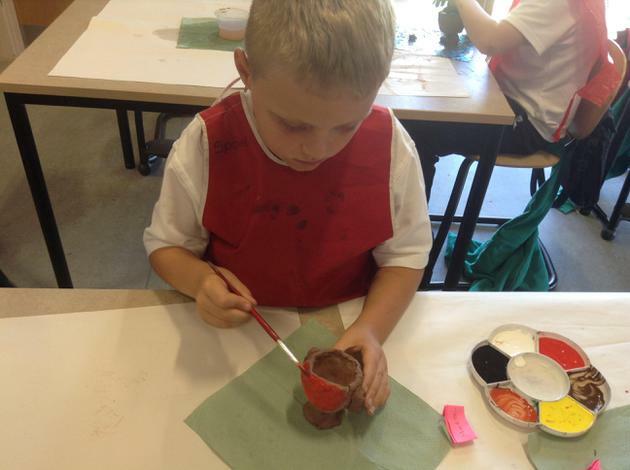 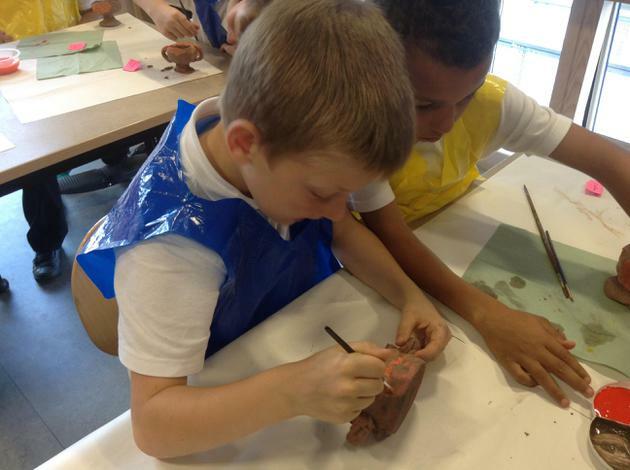 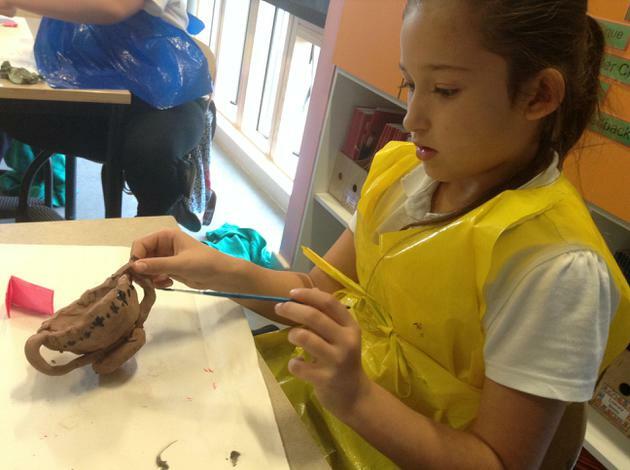 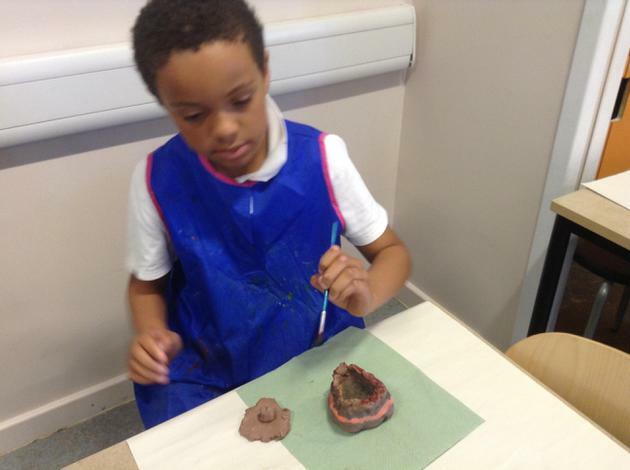 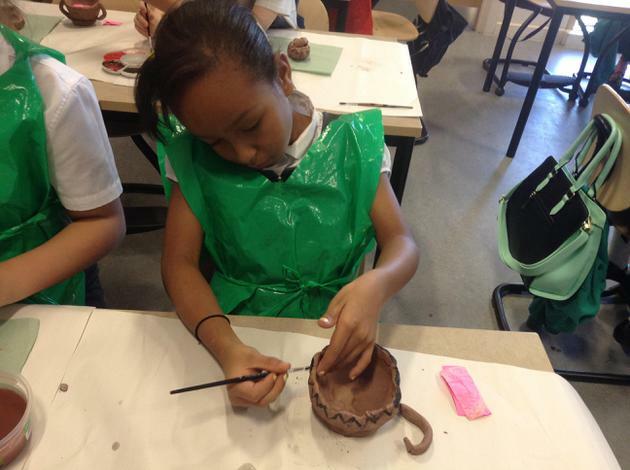 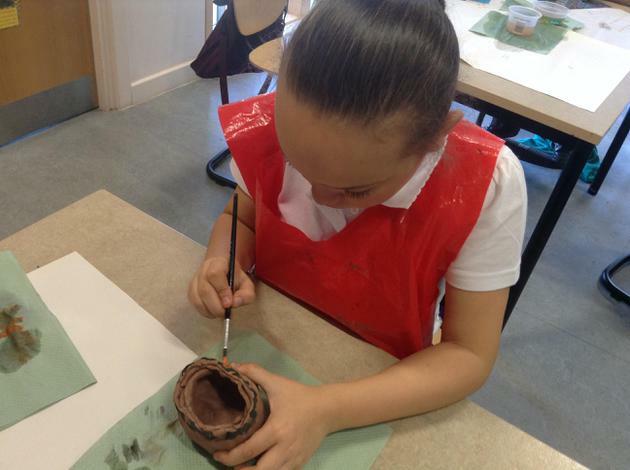 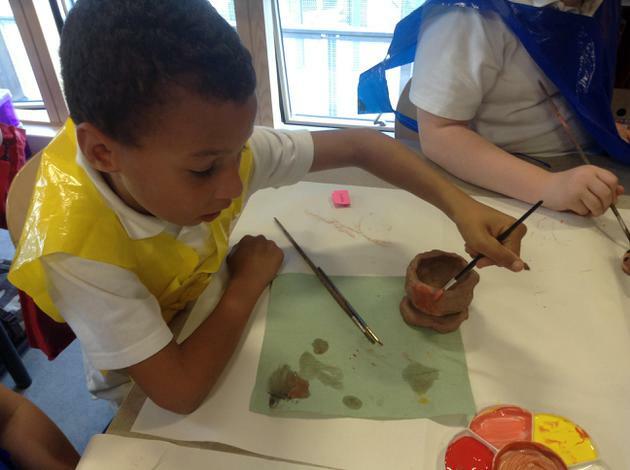 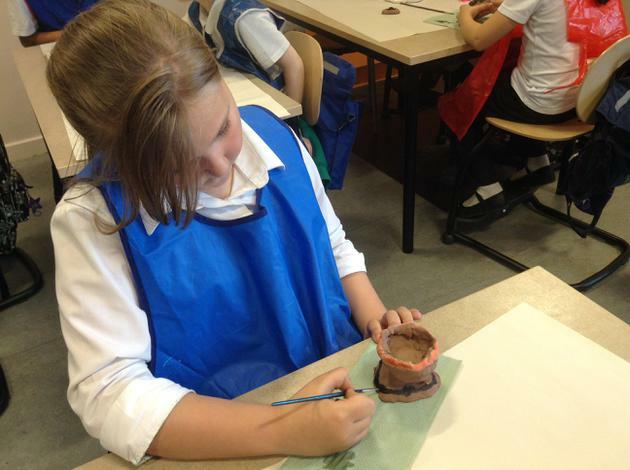 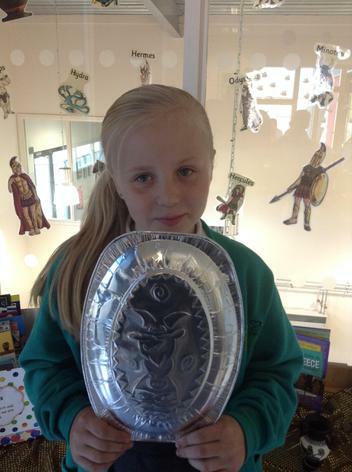 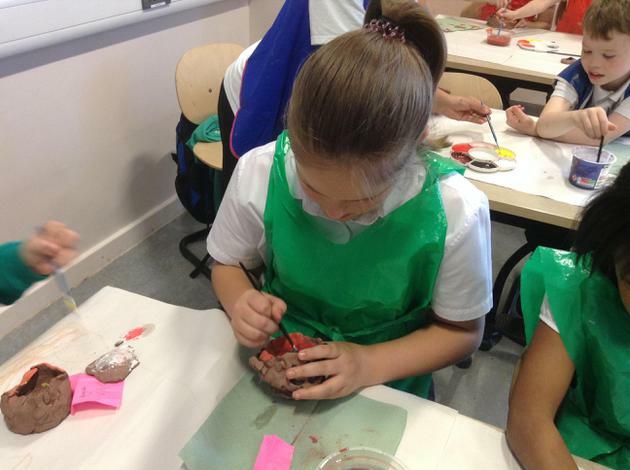 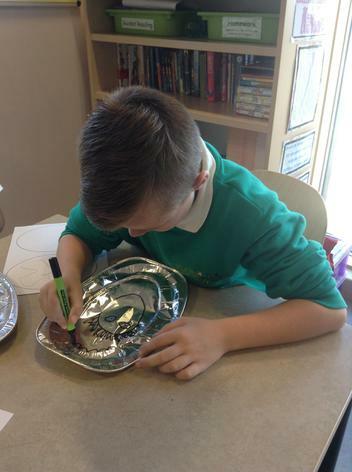 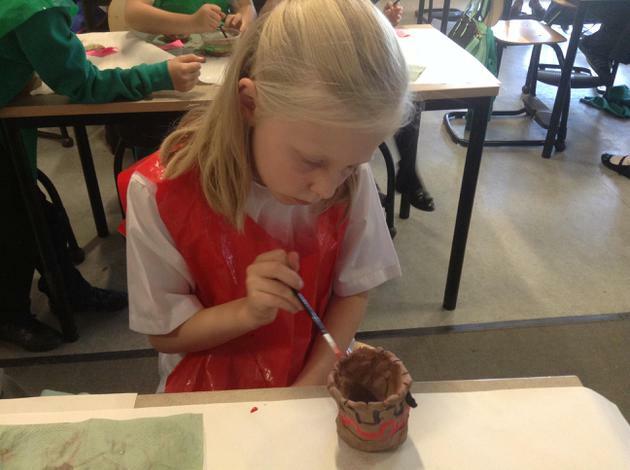 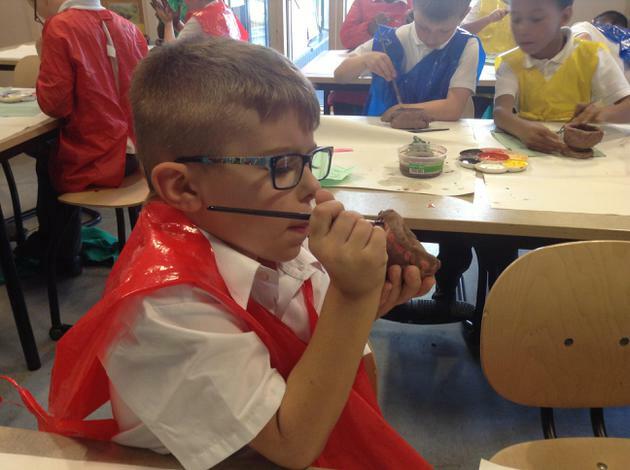 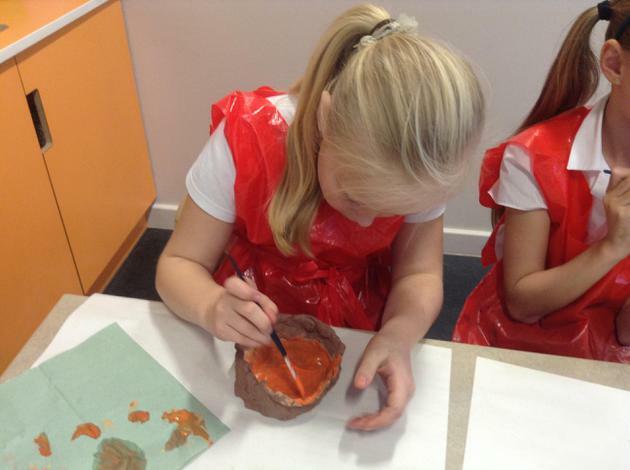 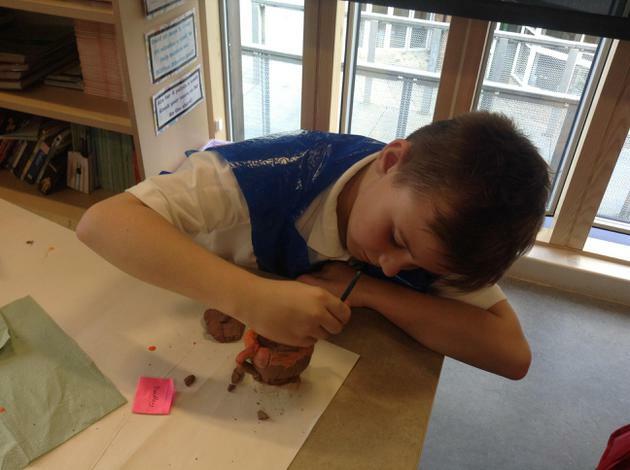 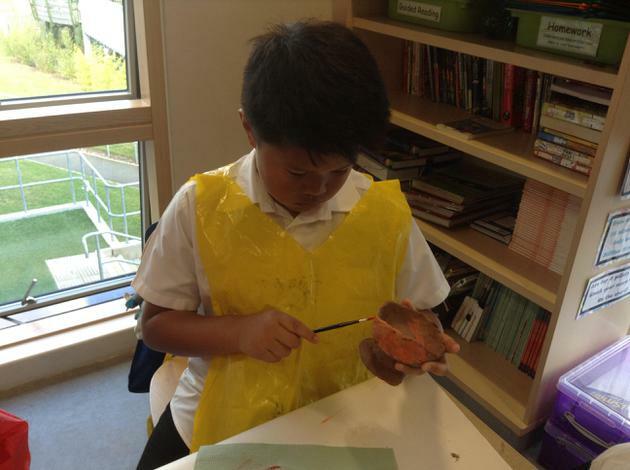 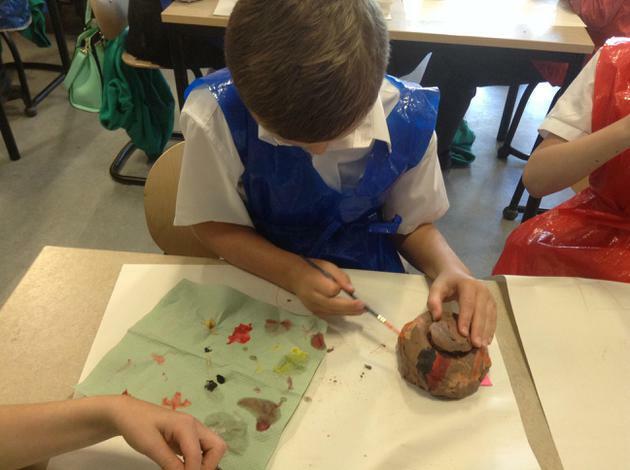 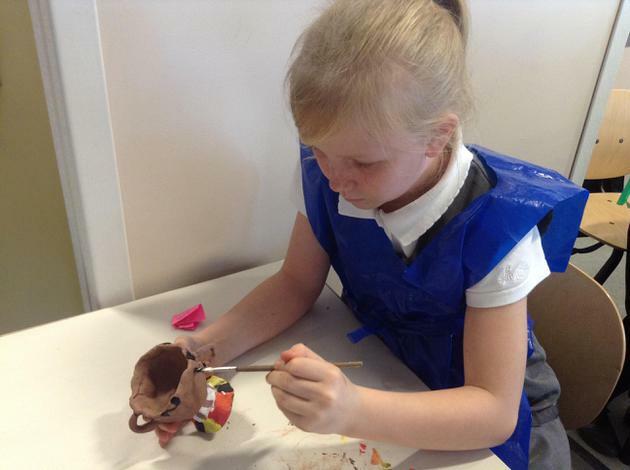 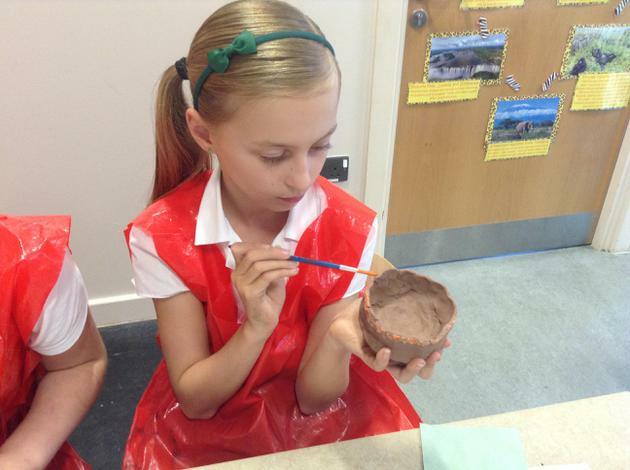 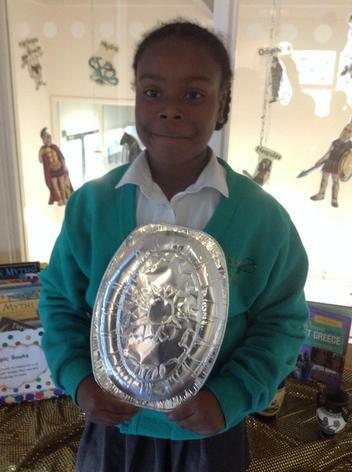 Year 5 have made their own Greek vases. 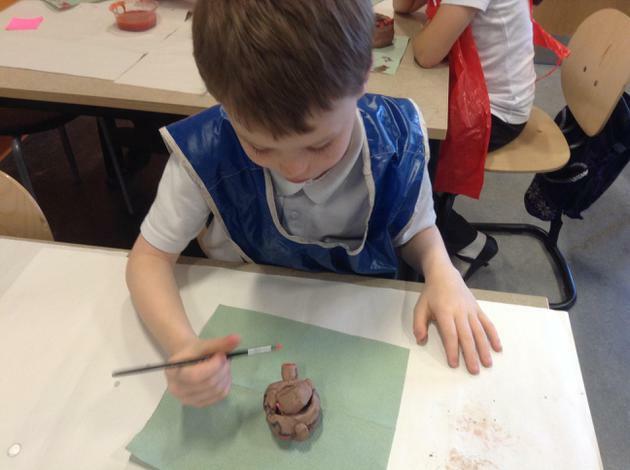 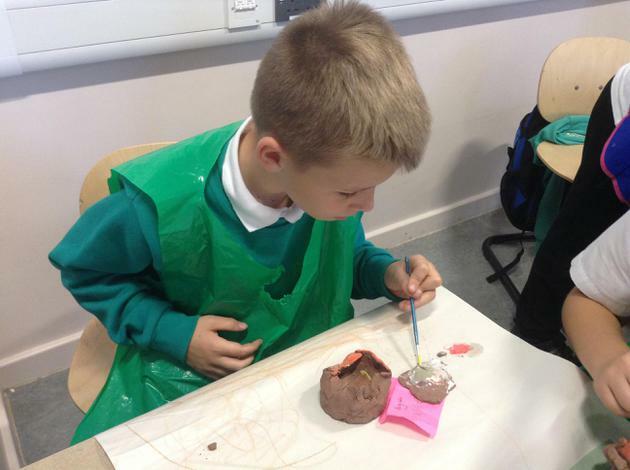 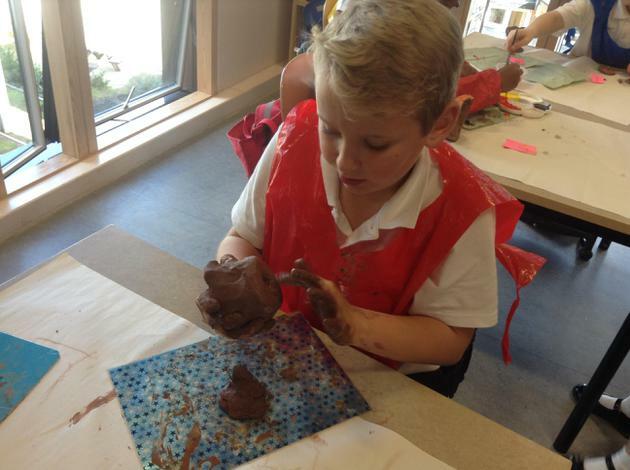 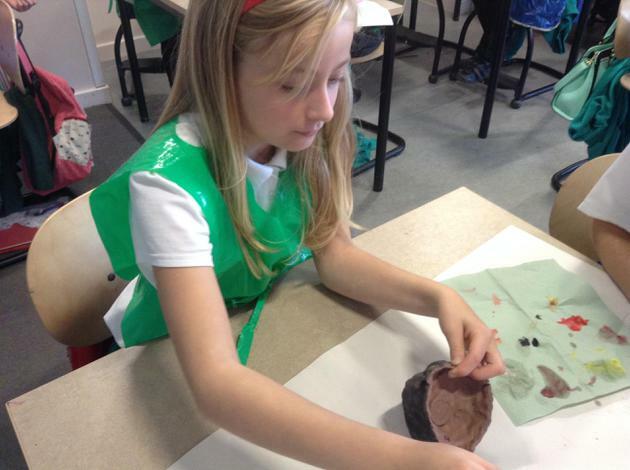 We used terracotta clay, it was a messy challenge but lots of fun. 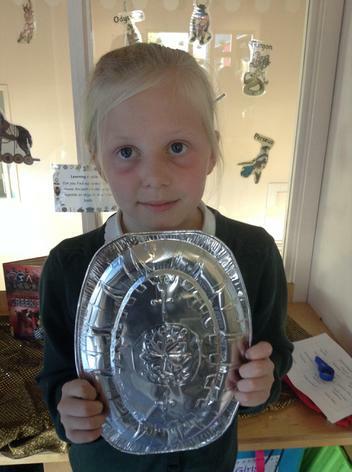 We had to show lots of resilience!